Czech Television reported on Sunday that the Czech pilots who have been training their Iraqi colleagues in piloting the L-159 ALCA jets will complete their mission in February. Their mission lasted two years, and the ground staff will remain in the country and continue to perform its duties. 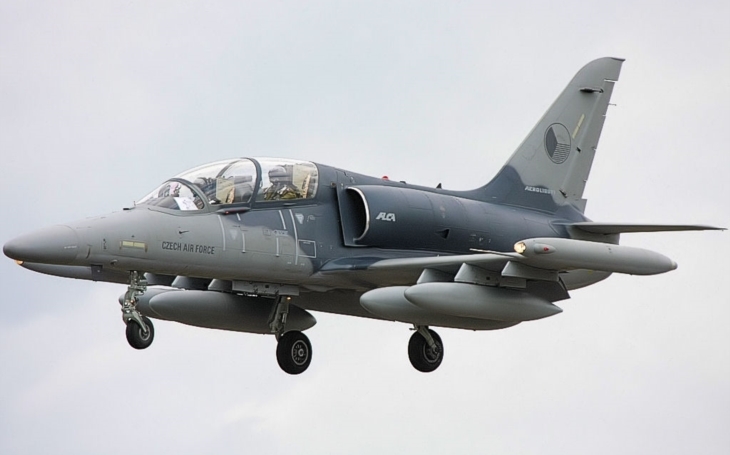 In 2015 Iraq purchased 14 L-159 aircraft (12 attack L-159As and 2 L-159T1s trainers). The L-159 were used by the Iraqi Air Force against ISIS in Fallujah and around Mosul. On 26th November Prime Minister Andrej Babiš was questioned by the police in connection with an investigation into his son’s alleged abduction to Crimea. Prime Minister spent almost two hours at police station. Babiš claims there was no abduction and says journalists used his son who suffers from schizophrenia to create a political campaign against him. The Czech Foreign Ministry has issued a statement condemning Russia’s use of force against Ukraine’s naval vessels: "The Ministry of Foreign Affairs of the Czech Republic is highly concerned about the escalation of tensions around the illegally annexed Crimea and condemns the use of force against Ukraine's naval forces," the statement reads. The Czech Republic considers the blockade of free navigation via the Kerch Strait by the Russian Federation as "a gross violation of the international law." The Czech Republic also called for the maintenance of free access into the Azov Sea, respect for the territorial integrity and sovereignty of Ukraine, as well as for the immediate release of detained seamen and vessels. "We encourage both sides to be restrained," the ministry said. On 26th November the New York Times reported that American and Czech forces are under investigation for the death of an Afghan commando who was beaten while in NATO custody in western Afghanistan, American and Afghan officials said, demonstrating the tensions that have grown among military forces after 17 years of war.The commando, Wahidullah Khan, was accused of killing a Czech soldier last month in one of four deadly insider attacks this year by Afghan forces on NATO troops. On 27th November Právo reported that the Ministry of Defence is waiting impatiently for the government to sign off on the biggest purchase in the modern history of the Czech Army. The Army will purchase 210 Infantry Fighting Vehicles (IFV) at a total cost of CZK 53 billion. Four manufacturers are expected to take part in the tender process: Rheinmetall with LYNX, General Dynamics with ASCOD II, BAE with CV90 and PSM with PUMA. A significant part of the production and servicing should take place in conjunction with VOP CZ, a Czech state enterprise run by the Ministry of Defence. Higher security measures will be in place in the Czech Republic over Christmas and the New Year, Minister of Interior Jan Hamáček and deputy police president Martin Vondrášek said at a press conference on 29th November. The measures, formally in place from 1st December until 9th January, will include an increased police presence in streets, and strenghtened protection of airports, shopping malls and other public places. Concrete barriers will be installed in key public areas. According to Hamáček there are no indications of an immediate threat of a terrorist attack in the country.